Frayji Design Group is a civil engineering, land planning and surveying firm supporting our clients on projects throughout Northern California for more than 15 years. Our firm is committed to providing value, reliability and quality results for our clients from project inception through completion of the project. This is embodied by our firm’s mission and staff. 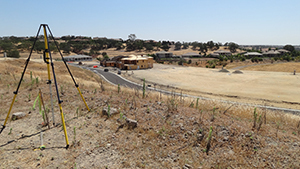 Our team includes licensed Professional Engineers, licensed Professional Land Surveyors and certified Land Planners. Our firm is dedicated to partnering with the development industry, regulatory agencies, design professionals and the community. Frayji Design Group incorporates the planning, civil engineering and construction aspects of residential, commercial and industrial land development to guarantee a smooth transition throughout each phase of the project.